The month of September was a busy (and delicious) month for us as we visited Rhinebeck for the Hudson Valley Wine & Food Fest, stopped by both White Plains and Mamaroneck for SoWe Food and Wine and most recently attended the Greenwich Wine & Food Festival at Roger Sherman Park last Saturday. 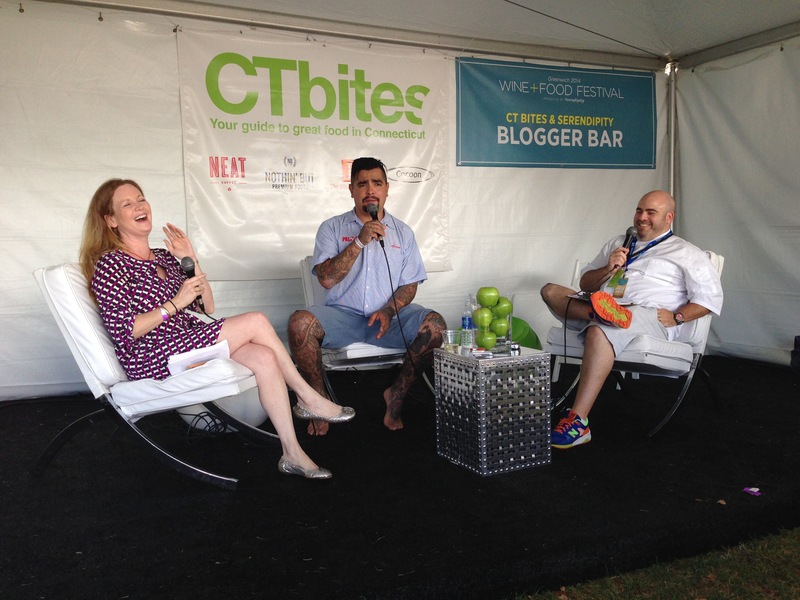 The star-studded event included demos from Jean Georges, Aaron Sanchez and Geoffrey Zakarian. 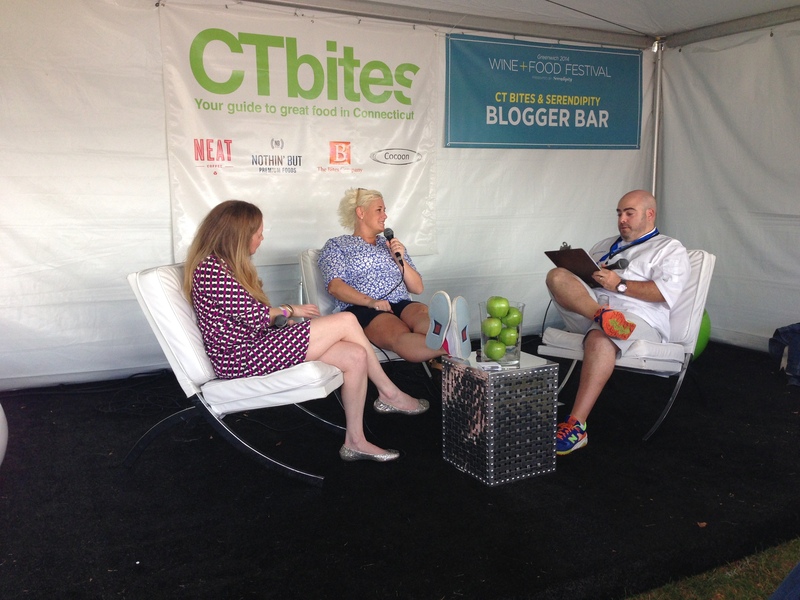 Thanks to the CT Bites Blogger Bar, we listened to Anne Burrell, Chef Rafael Palomino, the team behind Fortina Pizza and others answer questions about their daily lives, pet peeves and kitchen nightmares. We also had a chance to meet Emma Frisch and Nicole Gaffney, two of our favorite contestants from the last season of Food Network Star. 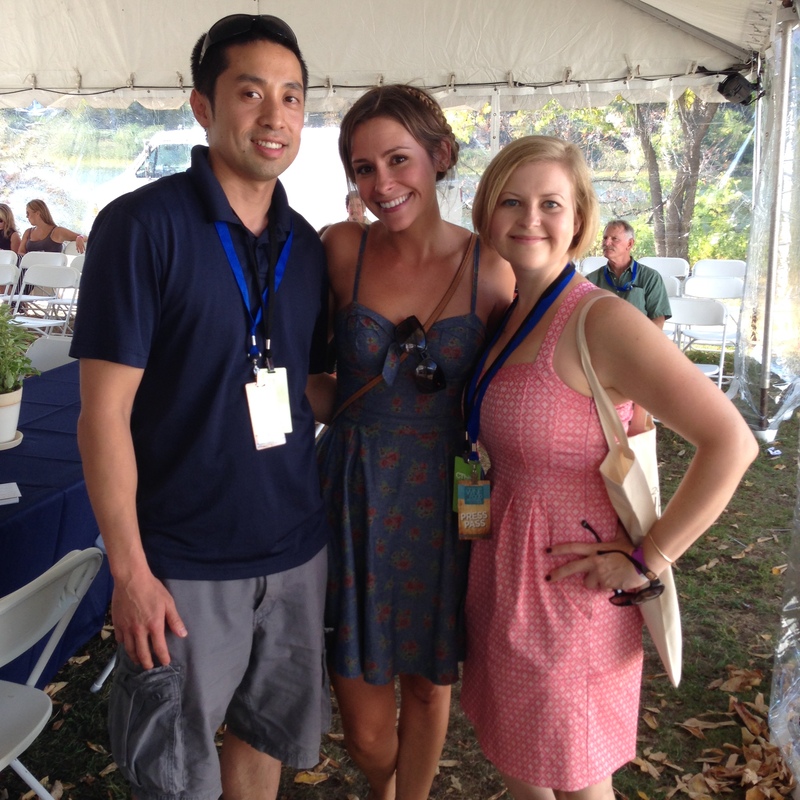 Great to meet Nicole Gaffney from Food Network Star! 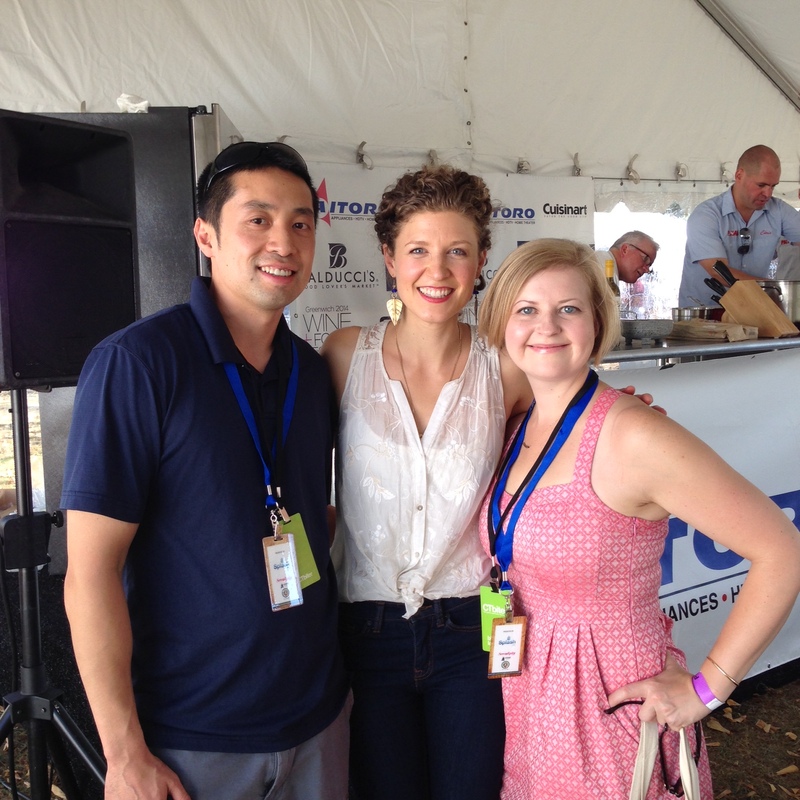 Keeping it Frisch with Emma from Food Network Star! Let’s not forget all the great food and drink we enjoyed throughout the day! 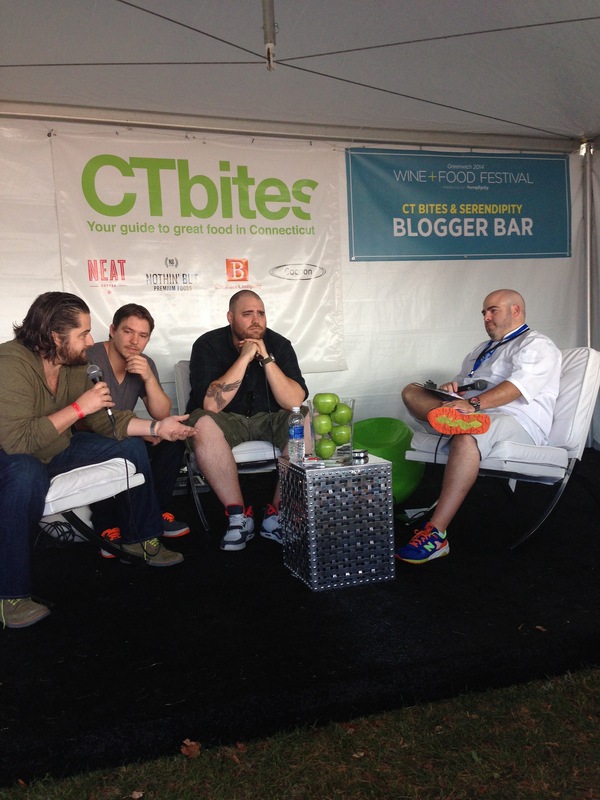 We stopped by our friend Chef Kennardo Holder’s (Ritz Carlton Westchester) booth to have some delicious short ribs. For a taste of great Indian food, we enjoyed multiple plates from Mumbai Times. For treats we enjoyed pastries from Bistro Versailles and espresso from Raus Coffee. Overall, it was a delicious day filled with great conversation, fantastic local food and of course, plenty of tasty beverages! Many thanks to Shelly from Splash PR and the team from Serendipity for putting on such a fabulous event. Hope to see you all at Greenwich Wine and Food 2015!